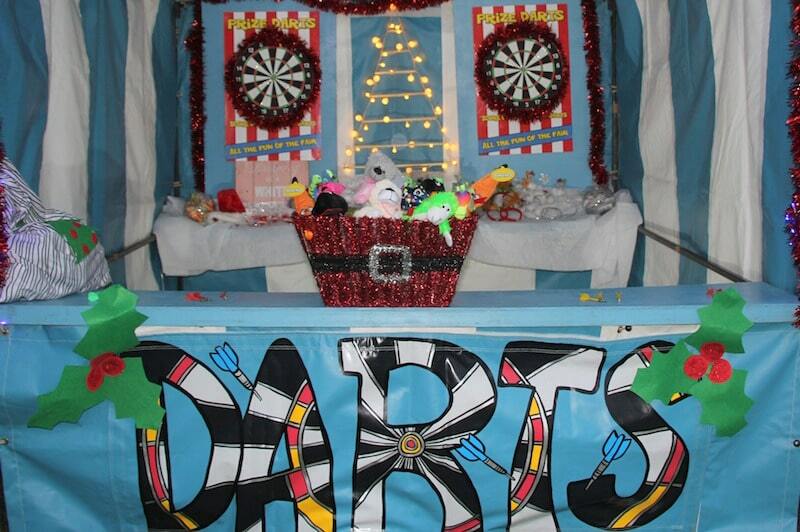 Our Christmas Darts fairground style side stall is sure to be a real winner at any festive event. Our specially designed side stalls measure 8ft x 10ft and are fully weather resistant in a crisp blue and white finish. In the event of rain, your guests can continue to play under the canopy overhang. 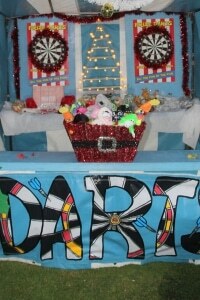 The stall can also be set up indoors subject to the size and suitability of the venue. 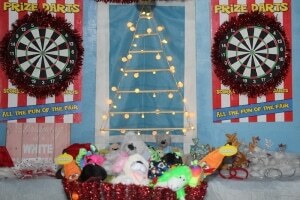 The side stall will be dressed stunning hand painted Christmas banners and an array of festive decorations. These decorations and banners may vary from the ones shown in the pictures, but rest assured they will be Christmasy. 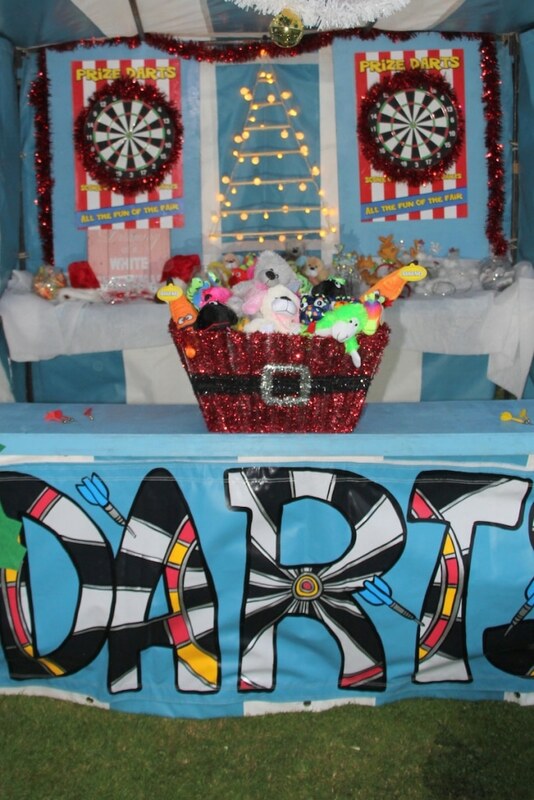 Fairground Darts will come with a fully trained and friendly member of our staff who will run the side stall for the duration of your event. If you prefer to supply your own supervisor then training will be given to ensure they are familiar with the rules and operation of the game. 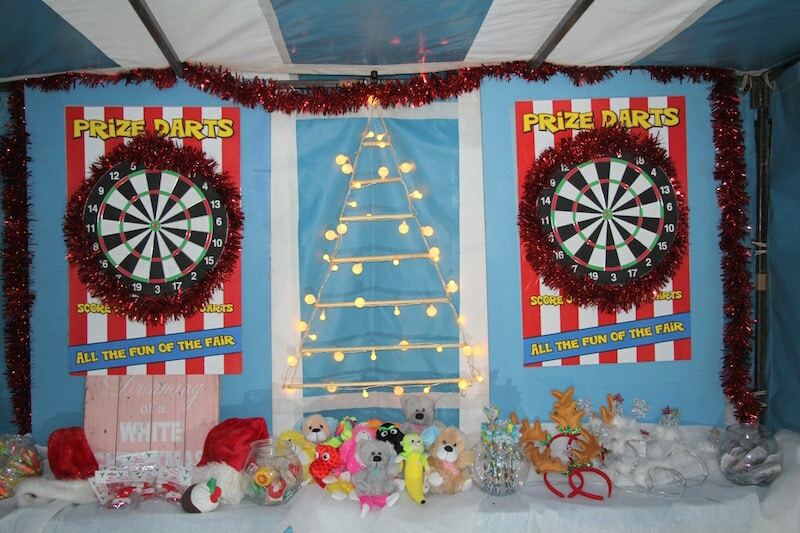 This fabulous side stall is normally supplied with 50 prizes made up of pocket money, blow up and soft toys. 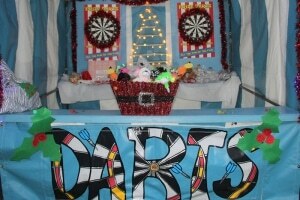 For adult only events we will include some alcohol prizes if preferred. Further additional prizes are available to purchase if required. 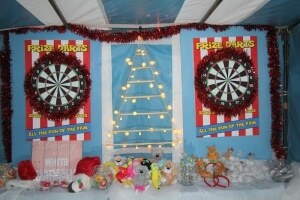 Christmas Fairground Darts is also available without prizes should you choose to supply your own. We can offer our Christmas side stalls through out the UK including Worcestershire, Herefordshire, Gloucestershire, Warwickshire, Staffordshire, Somerset, Birmingham, The Midlands, Staffordshire and Wales.